The solar sunshade for commercial, industrial and residential buildings. Your energy and comfort solution. Only one element with one reference number. Adjust and duplicate the sunshade length to match your project. Protection for openings against discomfort related to solar radiation and energy generation. 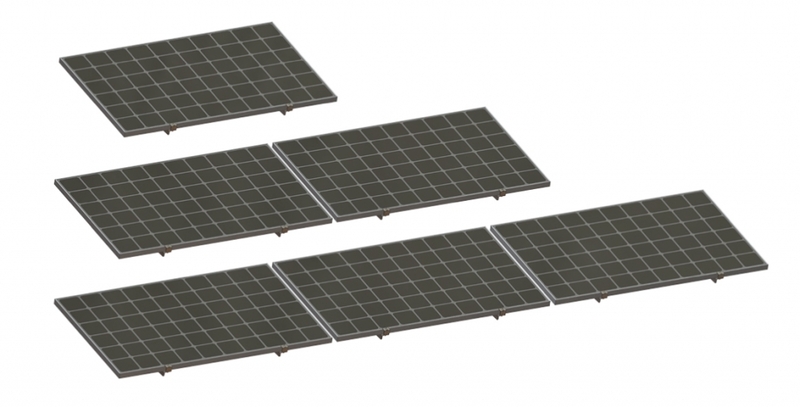 Only one support frame to be installed which can be replicated to match the size area to be protected from the sun and the photovoltaic performance to be achieved. Support frame is supplied preassembled and ready to install. 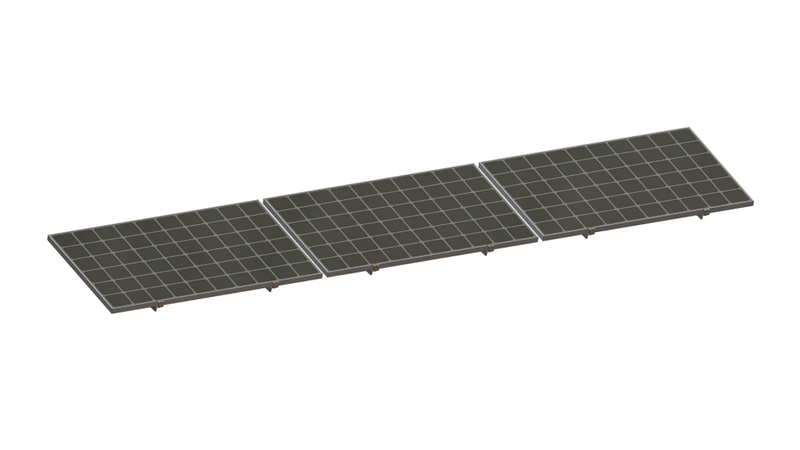 Optimum module angle of 15° ensures the best solar protection with optimum energy efficiency irrespective of the season or the geographical zone. Snow zones: All zones up to 900 m (France only). Admissible loads: Upward: 2400 Pa – Downward: 4400 Pa.
Wind zones: up to zone 4 (or 28 m/s) according to the building structure (More details in the instruction manual). 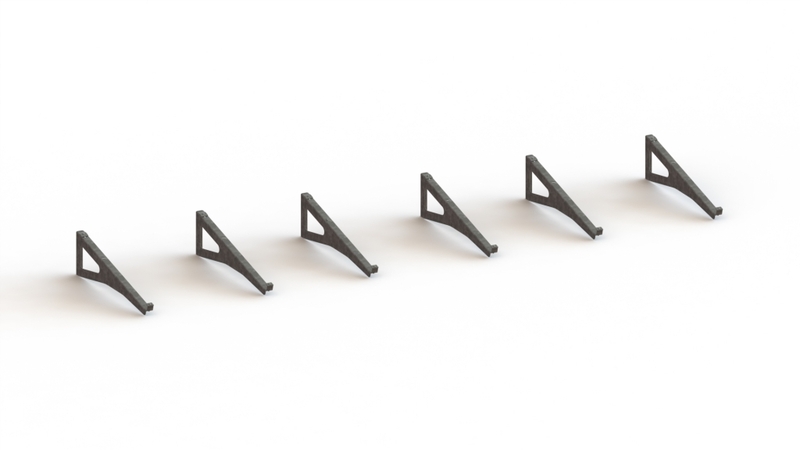 Available in original galvanised steel or black painted steel (RAL 9005). Please check the compatibility with the assembly instruction.